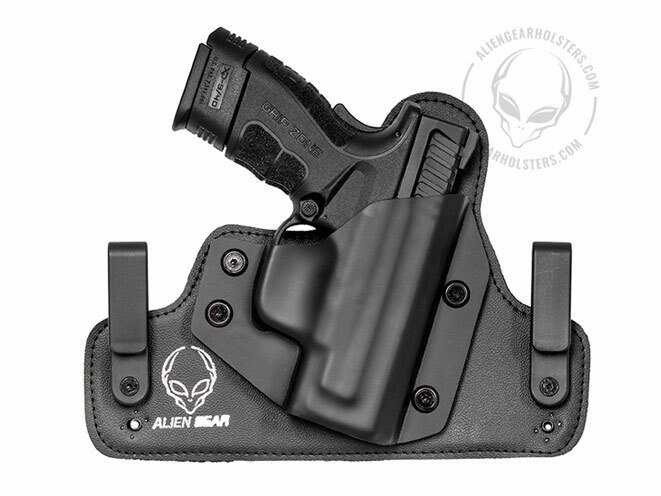 Alien Gear adds the Springfield XD Mod.2 Subcompact 9mm/40cal 3" to it's large selection of holster shells. 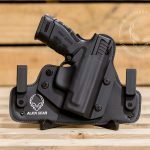 Alien Gear Holsters, the most comfortable, concealable handgun holsters on the planet, has recently added the Springfield XD Mod.2 Subcompact 9mm/40cal 3” to it’s large selection of holster shells. Purchase a concealed carry holster for the Springfield XD Mod.2 and choose from inside the pants leather or lightweight, comfortable neoprene composite material. Alien Gear Holsters also offers outside the waistband holster options in black or tan leather material, perfect for open or concealed carry. 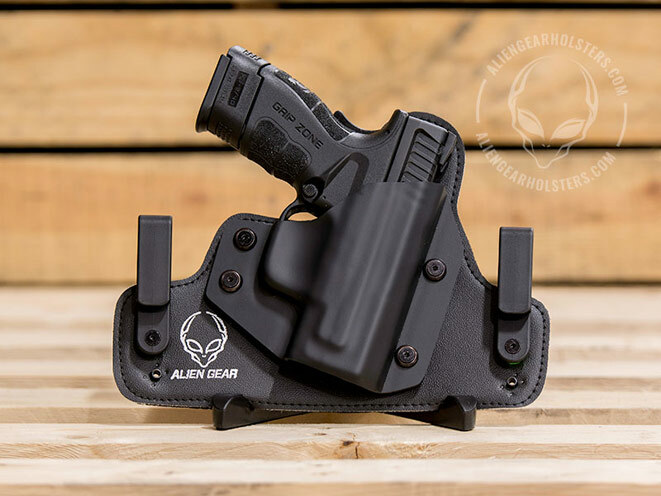 Alien Gear holster owners can choose from over 400 custom molded shells designed for most handguns, eliminating the need to buy a different holster for each pistol that you own. 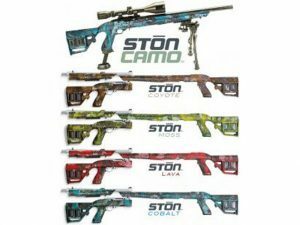 Instead, only one holster base is needed for multiple shells. All of Alien Gear Holsters materials, including durable handgun shells, clips and holster bases are fully covered by an Iron-Clad Triple Guarantee, including a 30 day test drive and forever warranty. If any part of your Alien Gear Holster ever breaks for any reason, it can be repaired or replaced for free. 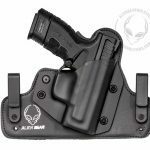 Buy an Alien Gear Holster for as low as $29.88.